Kubla and TheUnseenHand like this. This is Tyson, he has had a rough time. 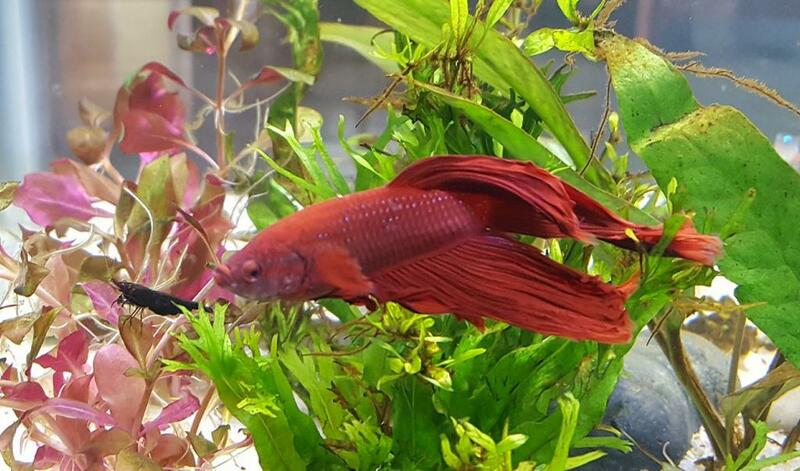 He got fin fungus/rot a week or so after we got him, cured that. Then we got a Koi female betta and tried her in the community tank but she chased and picked on everything. 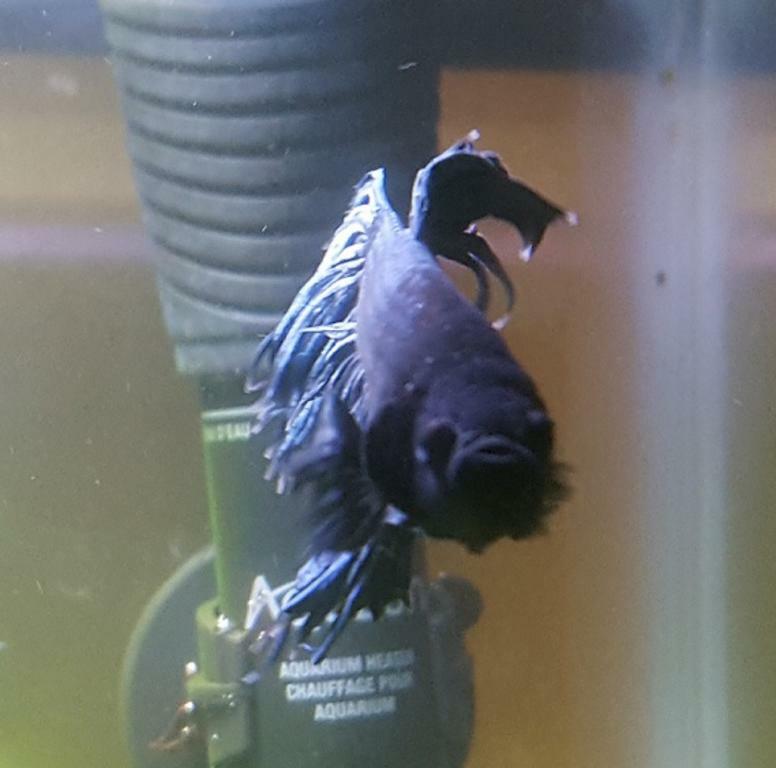 Put her in the tank with TYson and she beat him up pretty bad and chewed off most of his fins before I gave her to a coworker. He is doing much better now. 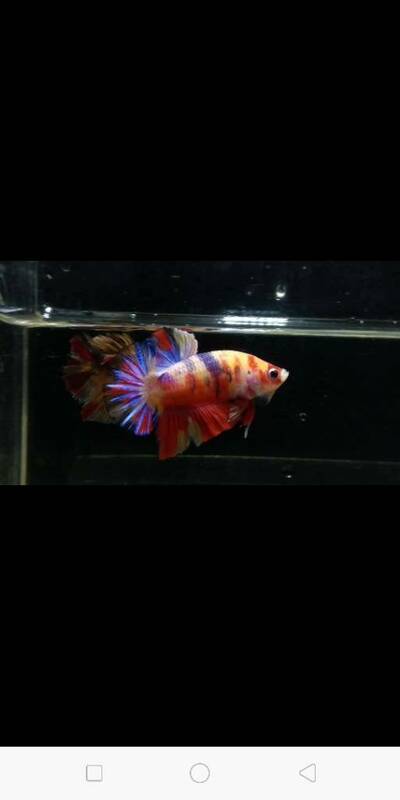 Nice little betta. 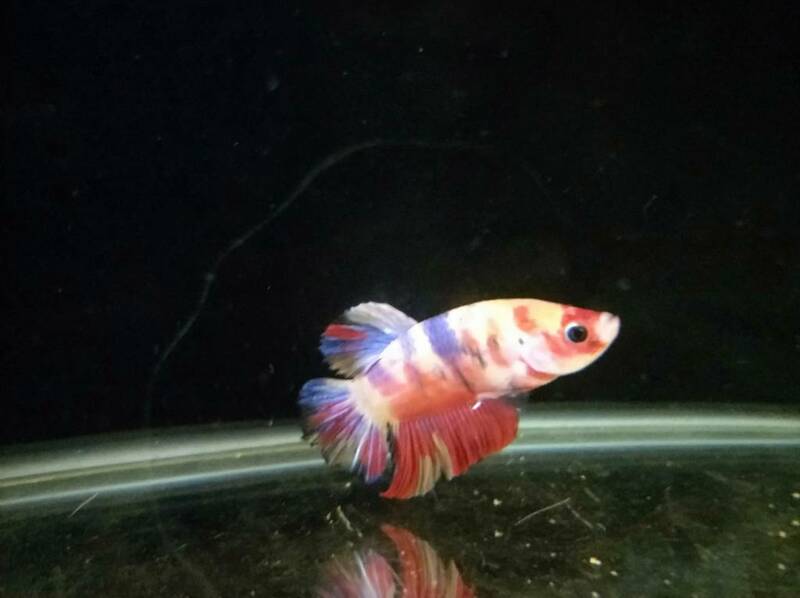 I didnt know any better and got a female koi betta, she was really nice looking but decided to beat up everyone in the 40B so tried moving her to the 10g with my other male betta. She beat him up too and destroyed his fins. Ended up giving her to a guy at work. 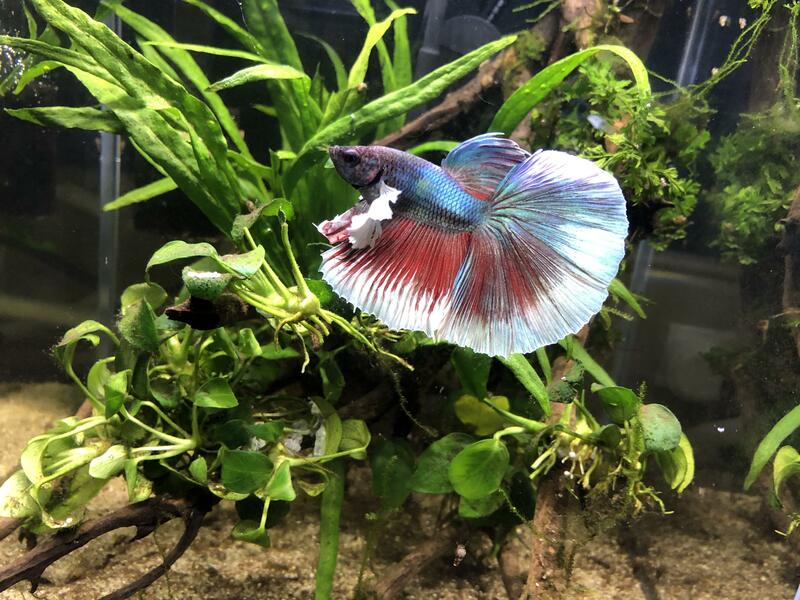 Poor guy went from getting a little betta and a 5gal setup from another coworker to having his wife decide she wanted a 60g corner saltwater tank within about a week lol.